President Trump’s pick for Internal Revenue commissioner would bring a rich background in addressing tax controversies from his work with the agency as well as the tax section of the American Bar Association. Thursday’s White House announcement nominating California private tax attorney Charles Rettig for a seven-year term (beginning last November when John Koskinen’s ended) noted Rettig’s 35-year career with the Beverly Hills firm of Hochman, Salkin, Rettig, Toscher & Perez. Reactions in Washington were upbeat. Retttig has Washington experience after nearly 20 years chairing the IRS Advisory Council. In his capacity as chair of the 4,000-plus member Taxation Section of the State Bar of California, he “is responsible for overseeing numerous technical tax subcommittees, an annual conference as well as meetings with staff representatives of the Joint Committee on Taxation, Judges of the U.S. Tax Court and various tax policy and legislative representatives in Washington, D.C.,” according to his firm. 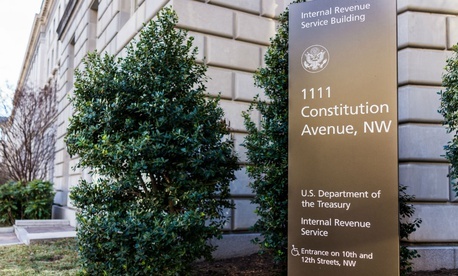 He has represented clients “before every administrative level” of the IRS, the White House said, as well as working with the Justice Department’s Tax Division. A specialist in estate planning, trust and probate law, he is currently vice chair for administration of the ABA’s 12,000-plus-member taxation section, and vice president of the American College of Tax Counsel. In 2007, he founded and continues as chair of the “tax controversies” panels for the New York University Institute on Federal Taxation. If confirmed by the Senate, Rettig would lead an agency in its seventh-year of budget cuts. The IRS also has a complex new tax law to administer, and some leftover raw feelings from years of controversy over alleged pro-Democratic political bias. Koskinen told Government Executive, "While I don't know Mr. Rettig personally, he has an excellent background, and it will be very good for the IRS to have a permanent commissioner once he is confirmed." The agency is currently headed by acting Commissioner David Kautter, who is also assistant Treasury secretary for tax policy. "The present highly political and partisan atmosphere in Washington, D.C., and the IRS implementation of last year's tax reform make the commissioner's job today unusually difficult," said former Commissioner Lawrence Gibbs, now a senior counsel at Miller & Chevalier Chartered. "Chuck Rettig's personality, skills, background and experience qualify him to assume the position in these demanding times. Chuck has an understanding and respect for the law, and specifically the tax law, as well as a breadth, depth and commitment to the tax law that I believe will stand him in good stead."